Reading for Research: ReFoReMo Day 4: Heidi Stemple; To Rhyme or Not to Rhyme? 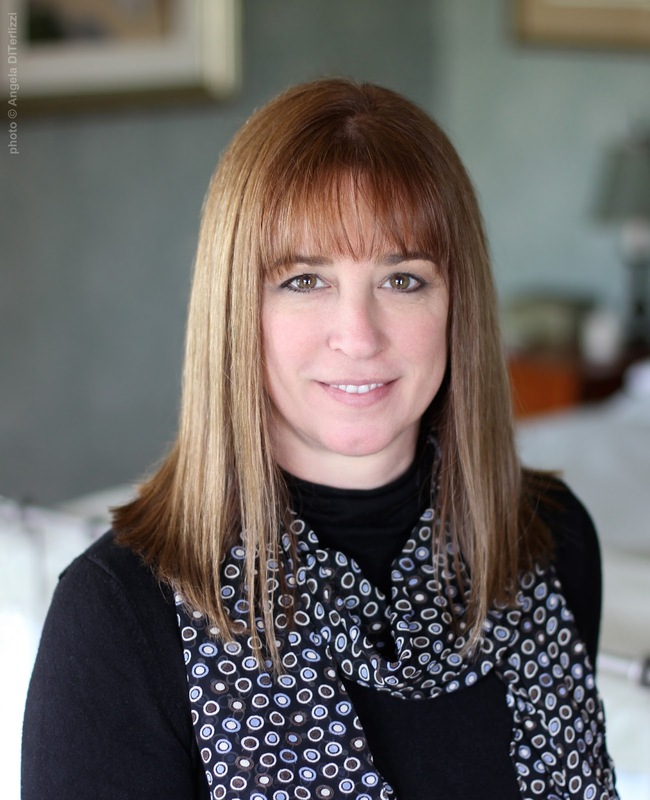 ReFoReMo Day 4: Heidi Stemple; To Rhyme or Not to Rhyme? It’s easy to rhyme. It’s really easy to rhyme badly. It’s nearly impossible to rhyme beautifully. If you have a brilliant idea and think you should write it in rhyme, attempt to talk yourself out of it. I am not trying to tell you not to rhyme because I think you are incapable. I know you are. Rhyming is easy—kindergarteners do it. What is difficult about a rhyming picture book is the meter. How’s that for earth shattering paradigm shifting news? Rhyme is easy, meter is hard. But, think about picture books—it’s not enough that you can read it out loud. 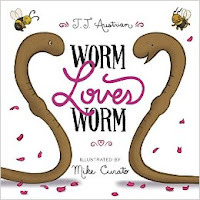 It has to be read out loud by a stranger without you saying in his ear, “no, the accent goes on that word/syllable…” A rhymed picture book has absolutely no wiggle room. It has to be spot-on, letter-perfect brilliant-- or it fails completely. · Can this story be told without rhyme? Can it be told just as effectively—or more so—in prose? · Will it benefit from having the space to breathe on its own? · Are you moving the plot around just to accommodate the rhyme-- will its voice be better off without using the rhyming words? Are those words cumbersome to the story? · Is the rhyme a crutch holding up a story unable to stand on its own? Is it too slight? Now, try writing your story in prose. If you choose rhyme, then it is your obligation to make sure the rhyme and the story are balanced. · Figure out which parts of the story are only there to serve the rhyme. · Never mangle your sentences to fit the rhyme. · Don’t try to squeeze your story into a rhyming format. · Choose your words as carefully as you would in a non-rhyming picture book. It’s not ok to use we, see, tree, and with glee at the end of half the lines of a book. · Making up a word is fun sometimes. But remember, there was only one Dr. Seuss. · Do not set yourself up with a complicated rhyme scheme that you can’t carry it throughout. · Your story, not the rhyme, needs to be primary. Finally, a helpful hint: We all know that it is important to read our manuscripts aloud during the writing, rewriting, and revision processes. This is especially true for picture books. But, if you are writing a rhyming picture book, take it a step further. Hand your manuscript to a fresh reader and have that reader read it to you cold. Don’t say a word. Take notes. Where does the reader stumble, miss your intent, botch the rhyme or scansion. This should be illuminating. 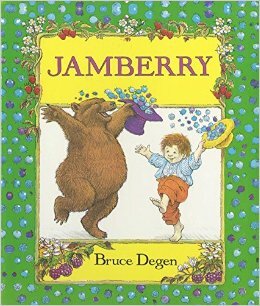 Jamberry by Bruce Degan: Delicious word play make this book one-of-a-kind. 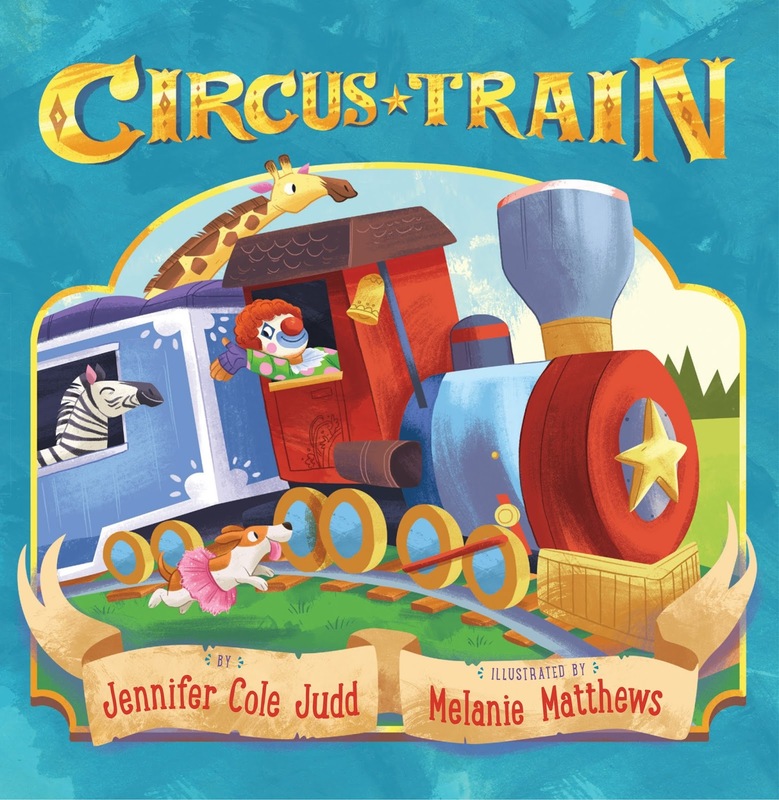 Circus Train by Jennifer Cole Judd, illustrated by Melanie Matthews: Deceptively simple, with perfect rhymes that are never the same old ordinary expected ones. The beginning and end are the same which gives it a perfect arc and I dare you to read it aloud without escalating your voice as the circus gets into full swing. 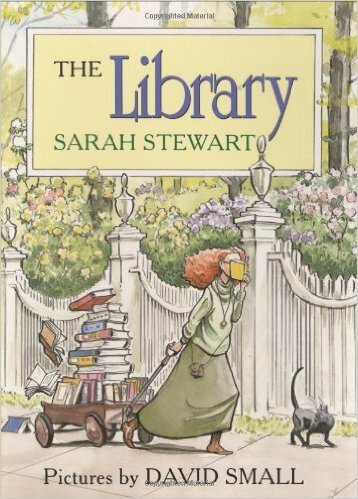 The Library by Sarah Stewart, illustrated by David Small: This is a longer story text which relies on a bouncy rhyme that could go wrong at any moment because of its length, but never does. Jessie Bear What Will You Wear by Nancy White Carlstrom, illustrated by Bruce Degan: Fun and word-perfect with a great repeating refrain that breaks up the rhyme. 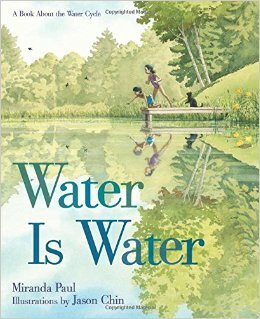 Water Is Water by Miranda Paul, illustrated by Jason Chin: This text contains both internal and end-of-line rhymes. Line breaks and page turns brilliantly inform the read aloud. An Invitation tothe Butterfly Ball by Jane Yolen, illustrated by Jane Breskin Zalben: sets up the rhyme scheme right up front and delivers on it on every page. The child listener will know the refrain by page three and be able to ‘read’ along. Heidi is giving away one of her books OR a picture book critique at the conclusion of ReFoReMo! To be eligible, please comment on this post and make efforts to read mentor text regularly. Heidi didn’t want to be a writer when she grew up. In fact, after she graduated from college, she became a probation officer in Florida. It wasn’t until she was 28 years old that she gave in and joined the family business, publishing her first short story in a book called Famous Writers and Their Kids Write Spooky Stories. The famous writer was her mom, author Jane Yolen. Since then, she has published more than twenty books and numerous short stories and poems, mostly for children. Some of those books are rhyming picture books including You Nest Here With Me, Pretty Princess Pig, and Not All Princesses Dress In Pink. Heidi and her mom both live on a big old farm with two houses, three barns, a couple cats, and a whole lot of books. "Rhyme is easy, meter is hard." "Your story, not the rhyme, needs to be primary." Thank you Heidi, this is a terrificly useful post. Haha! I was just telling my critique group last week that rhyme is the easy part. It's getting the meter right that's hard. Thank you for the lesson on writing in rhyme and your list of mentor texts. Wonderful post, Heidi. Such excellent advice and warning about the difficulty of meter. I adore your example books and appreciate the three "outliers" you provided. Thanks so much. Heidi, wonderful thought provoking ideas about meter. Twisting and twirling sentences to rhyme hurts the PB manuscript. Great examples to study for rhyming and non-rhyming. Thanks for the insight! Good post Heidi! I enjoy well-done rhyming texts, but have been hesitant to try. I'm motivated to give it try for the discipline of the task and still focus on story. Thanks for your posting. Thank you so much for your insights. Rhyme is easy. Meter is hard. I'll return to the post again... I'm sure! I get it in my mind that some concepts are funnier in rhyme and for some reason, when I try to take them out of the structure, well, it makes me unhappy. I'm going to tear it apart again! (100x is the charm, right?) :) Thanks for sharing your suggestions with us! Great post, Heidi! Thank you for giving us examples of books where rhyming works … I totally agree that: "Rhyme is easy, meter is hard." I love that you also listed books that could have been written in rhyme but weren’t and where "Your story, not the rhyme, needs to be primary." Thank you for this post. I especially like your examples of books that could have been written in rhyme but were not... totally agree. These books are such a joy to read aloud! Thank you for the tips to keep in mind when writing a PB story - rhyming or not. Love this insightful post. Everyone who attempts rhyme needs to read this. Thank you, Heidi. Thanks for these honest cautions about writing in rhyme balanced with the "it's possible to do it well" excellent examples of books. Thanks, Heidi. Great examples, Heidi, and I appreciate the cautions for rhyming/not rhyming. I am not a rhymer and I know it. I sure do appreciate a great rhyme, though. TY. Have made note of the titles I didn't know, Heidi. And am always happy to see familiar loves. 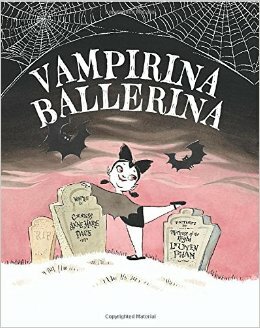 Vampirina Ballerina makes the kids I read it to -dance! Such great insights. I'm in awe of people who can do this well. It is really really hard. Hi, Heidi! Thanks for the awesome list of books and the great post. I love rhyming books, but I am terrified to write them, still I just finished my 18th draft of a story that seemed to be begging for some rhyme. I sprinkled it here and there, and now I'm waiting for a critique. Yup. I have no idea how that will go. I remember learning meter in my Latin classes. But in Latin you can move words anywhere... not so much in English! Awe...Jessie Bear was my son's favorite. I can still say the whole thing by heart and he's 23! Thanks for your informative post. My first books were by Dr. Seuss, so I love rhyming books. Thanks for posting this wonderful list of rhyming books. I love reading them, but hesitate at writing them. I don't write in rhyme, but I sure do love to read rhyming picture books! Sometimes, you just hear that rhyme. Other times, it's inadvertent. Thanks for showing us the ones that work. This is a struggle I've had before, and trying to learn meter on my own has been it's own kind of slow torture! Thank you for sharing some examples of books that could have been in rhyme - but work great without it! Isn't it funny how easy it is to rhyme yet how difficult it is to write a decent rhyming picture book? I don't dare try, but I can appreciate when it's well done such as these. 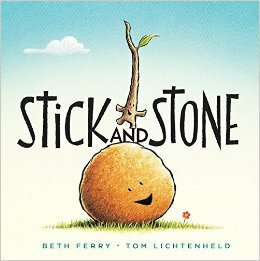 Stick and Stone is one of my new favorites- the story is so adorable that I forgot all about the rhyming. I think that says a lot about how invested I got in characters that are a rock and a stick! Trying to write in rhyme is not for me but I enjoy reading a rhyming PB out loud to kiddos. It feels like a song. Lucky you, Heidi, to have such a wonderful mentor mother. Just what I needed for a rhyming story I had shelved. Thank you!!! Wonderful inspiration on the importance of verse in children's picture books. Thank you for sharing these mentor texts. Wonderful post and advice. Thanks so much Heidi. Thank you for the post. Very helpful even though I don't write in rhyme! Thank you, Heidi, for the tips and examples for great rhyme and meter. I admire writers who can rhyme and wish I could. I enjoyed your recommendations, Heidi. Thank you! I agree, it's super hard writing in rhyme for so many reasons. I haven't resorted yet to made up words (hoorah!) but I've come close! Thanks for a great post! I tried writing one story in rhyme and it *is* so hard because of the meter. Thanks for your great suggestions and helpful list of books, Heidi! This is fantastically helpful. Thanks so much for some great mentor text ideas! Great ideas! Thanks for your very helpful post. Immediately forwarded to all my crit group pals who are brave enough to work in rhyme -- a much appreciated and to-the-point post Heidi! I loved Stick and Stone. Thank you for the advise, I totally agree with you, that's why I don't even attempt! Thanks, Heidi, for this insightful advice and wonderful list of rhyming mentor texts. When my kids were preschoolers, we must've read Jamberry hundreds of times. So fun to read aloud! Thank you for the great list of beautifully rhyming picture books and for your advice about having someone else read our rhyming manuscripts aloud. Hi Heidi, thanks for this wonderful post! I've been experimenting writing in rhyme and so far I'm loving it. The question, of course, is whether my readers will... Anyway, love this list and hope to find some of these in my local library. Wonderful post, Heidi. I need to store this somewhere so I can easily refer new poetry writers to it. The thing that hit home for me: "Are you moving the plot around just to accommodate the rhyme?" YES! This happens so easily. Sometimes I've written three or four stanzas to make a point when, had I written it in prose, I could have done it better in one sentence and not mucked up the pacing. Wise words. I LOVE rhyme. I LOVE to read rhyme aloud. I CAN NOT RHYME! I WILL NOT RHYME! I love rhyme, and have had some success, but always have to ask myself the questions Heidi posed. I've written hundreds of personal poems for different occasions, but they don't have to adhere to the strict rules that picture books have to abide by. A great post, and can't wait to read each book. Thank you, Heidi! Excellent advice and excellent choice of books. Thanks for these suggestions. I also recommend Julia Donaldson for rhyme. Room on the Broom is one of her best. A lot to think about if one is considering writing in rhyme. Thanks you for the mentor texts and great advice! Thanks for your advice. "The Library" is one of my favorites due to the phrasing and carefully chosen words. Oh, this is sooo something I want to learn more about. I want to learn to rhyme well, but am a bit timid to try because they say it has to be so SPOT on. I plan to study, study, study. Thank you for the great list of mentor texts! I love the title suggestions of books that could have been rhyme but prose worked better instead. Thank you Heidi! Awesome post! Thanks for the mentor text suggestions. I love the idea of having someone read a rhyming manuscript cold! Great post. Thanks Heidi. Thank you Heidi! You give us great advice and a great list of mentor texts! It really is hard to write well in rhyme. Hats off to the authors that make it look easy. Like your list of mentor texts. Jamberry is always fun to read-aloud. It's so tempting to write in rhyme, but it is soooooo very, very hard to do and do it well. I don't gravitate toward rhyme when I write, but whenever I read mentor texts with well-written rhyme, or when I read them to my elementary students, I'm struck by how powerful and satisfying they are. I love the inclusion of less traditional rhyming texts in your list. Thanks! Heidi thanks for sharing great examples of rhyming picture books that work! Thank you Heidi. My favorite line "Your story, not the rhyme, needs to be primary." I don't posses the rhyming gene, but enjoy reading great examples of rhyming picture books. Thanks for the recommendations. Thanks for your advice and for sharing these terrific mentor texts! Oh my goodness. What a helpful post on rhyme! Thank you. I will definitely be printing this one out for reference. These books were so fun to read. Thank you! Writing in rhyme is so difficult and some people can make it seem effortless. I'm loving pouring over some of these unfamiliar books! Jennifer, I use your book anytime I discuss rhyme. It's absolutely perfect--I love to read it aloud to classes of adults! The combination of meter, rhyme, and page turns in Water is Water is delightful. And what a sweet surprise Jesse Bear (Bare in the bathtub spread: ha!) was! Excellent post!!!!! I am so excited to see my crit. 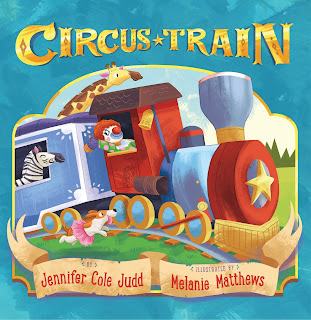 partner's Circus Train on your list! Some great suggestions here. Have a,few manuscripts that I need to let someone read aloud. Thanks for the great post! Some authors just make it so easy. Thanks for reminding us that it's not! Thanks Heidi...for so much useful information! I love that suggestion about "handing" a manuscript over to new eyes...w/ not hints...just take notes. Great tips! I have read a few of your suggested picture books, but am looking foward to reading the others! This was great, Heidi! Thank you! As someone who loves to write in rhyme, but struggles terribly with meter, I appreciated your suggestions. One of these days I'll get it right! Thanks for sharing your thoughts about rhyme. Rhyme is so much fun when it's done well. I was especially happy to see Jamberry on your list, as that was a favorite book when my daughters--now in their 20's--were little. I ordered a new copy, because the old one had been loved to death. Thank you Heidi for reminding me not to try it. Picture books are hard enough to write without adding the difficulty of meter and rhyme. Though I do love reading a well written rhyming story. I look forward to reading these rhyming stories. I admire a well-metered rhyme. So hard to pull off! Great post with good advice. Thanks, Heidi. What fun to read some old favorites and new ones with your cautionary words in mind! Great post and suggestions. Thanks! I LOVE the questions you included to ask ourselves, in order to see if rhyme is what will work best for our story or not. This one especially stuck out to me, and will keep it in mind as I write: "it is your obligation to make sure the rhyme and the story are balanced." THANK YOU!!!! Thank you for this post. The comparison of strong rhyming books with great books that don't rhyme was informative. I've never tried to rhyme in a picture book, but I never would have thought about meter. Very helpful. I appreciated your post. I want to read and study the books you mentioned. Thank you. Thanks for your post Heidi. I totally agree that story comes first. So far I haven't written any rhyming stories (none of my story ideas so far seemed to need this). However a few years ago I decided I needed to learn meter. So I bought a bunch of poetry books and started writing poems, paying particular attention to meter. I am starting to "get it" - Highlights High Five even picked up one of my poems. Yahoo! It takes a lot of practice to write good meter. It also makes word choice trickier. But meter can be learned and like all writing - it can be revised. So if your story really needs it, you can learn to do it. Studying great rhyming picture books is a good way to learn - so thanks for the book recommendations! I love rhyme...love to read it and love to write it, but I so agree that it is so difficult. All the better for enjoying the best of the best as are the examples you provided in the mentor texts. Thank you! Thanks for the great advice! Rhyming PBs are probably not my thing, but I love reading ones that are done well. Thank you for this great post, Heidi! I haven't attempted any rhyming PBs yet but you've included some great advice and mentor texts that I'll be saving for future reference. Thanks, Heidi, for the suggested readings on this topic! These mentor texts couple nicely with the notes I took on this very topic from your Mom's seminar at this year's SCBWI conference in New York. I appreciate your added insights as well, because my brain defaults to rhyme, and I'm challenging myself to work more in prose this year. So far, I'm pleased with my success, and how I've been using your Mom's (and your) tips to improve my existing books' revisions. Thanks again! I enjoyed your post and the recommended texts. Thank you for sharing about a topic that seems to challenge so many of us! Oh, that elusive culprit that everyone wants to capture. Great mentor texts! I love reading rhyming picture books. Can't wait to read your suggested mentor texts. I'm always amazed by a good rhyming picture book. Thanks for the recommendations! Wonderfully informative and smile-inducing advice. I particularly enjoyed this gem, "It’s not ok to use we, see, tree, and with glee at the end of half the lines of a book" and the gentle reminder that there was only one Dr. Seuss. Great advice on rhyme! Thanks, Heidi. This is such a good post with terrific examples. As a kindergarten teacher I know how right you are when you say rhyme is easy, meter is hard. Great info about rhyming! Thank you! It is difficult to rhyme well. I shall take this to heart and consider my stories and the potential for telling them in rhyme - or not! Thank you, Heidi, for this excellent post and the examples you gave. Great advice with many takeaways! Great tips and books to study, Heidi. Thanks! Thank you so much for the challenge to think about the relationship between rhyme and meter. As a percussionist who is new to writing, I'm very interested in this list and your assessment of these titles. Thanks Heidi! I am writing a book in rhyme and you raise some excellent points for me to ponder as I write it. It's not easy to have the meter remain consistent throughout the story. Thank you, Heidi, for these great example books showing impeccable rhyme. 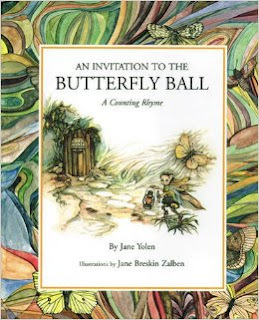 As a kid, I was in love with "An Invitation to the Butterfly Ball"! Sweet memories. 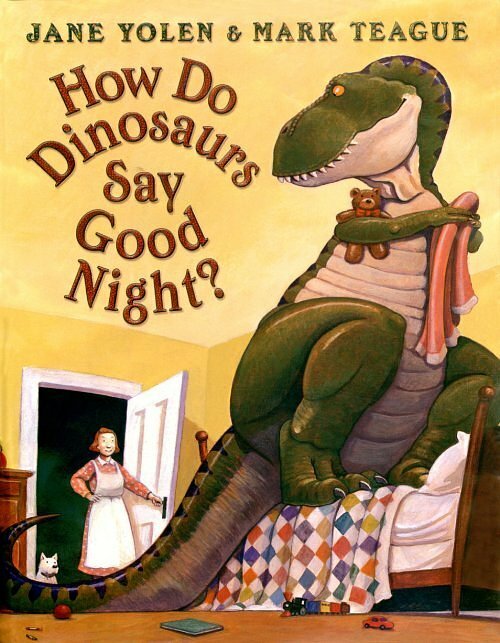 "How Do Dinosaurs Say Goodnight?" 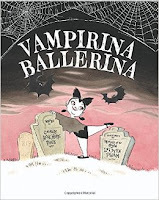 by Jane Yolen is a gem and illustrator, Mark Teague, does a magnificent job with the pictures. Wonderful tips on rhyming and mentor texts! Thank you! Rhyme is easy. Meter is hard. Thanks for a great post. I like the book examples and see one I wasn't aware of. Now I need to check it out. Great advice from a master. Thanks, Heidi! Thanks, Heidi! Great post - and really wonderful and fun books to read. I love Jamberry, Jesse Bear... from back when I read them to my kids! Our library copies are loved to death - the mark of a truly good book. Thanks for all of these great rhyming pointers, Heidi!! I haven't tried a rhyming story yet. Thanks for the tips. Thanks for this post! Rhyming picture books are illustrated poems, and I agree with you that getting the meter right is a challenge. As is keeping the text from being annoyingly singsong. Thanks also for your suggestions of books that could have rhymed, but didn't. I love making poems with a net, but only when the making is warranted. Thanks for an insightful post! All day, I apologized to my husband, "It's Heidi's fault. I can't stop rhyming." For everyone who commented, please know, I have read them all. I am humbled by the time you all took to let me know that my post was helpful or meaningful in some way. Thank you all! When beautiful rhyme and sweet stories create the dance for a picture book, I feel all giddy with joy! It is not my area of talent, so I appreciate it all the more. Thanks also for the good summaries of high-quality mentor pieces written in rhyme! Thanks for a great post, Heidi. I was especially intrigued by the books that could have been written in rhyme but weren't. I really hadn't looked at books that way. I usually think the other way around (written in rhyme but narrative would have been better). I was surprised I hadn't read, The Butterfly Ball, since it was published about the time I graduated from an undergrad KidLit course–dinosaur days. I will have to add that to my Yolen shelf. I'm happy to say I have the books mentioned in your bio. :) Great post! The best advice on rhyming and meter by Heidi Stemple. I note many outstanding titles. Thank you for these rhyming book recommendations. I also appreciate that you included books that could have been written in rhyme, but had amazing voice without it. I am trying to rewrite a couple of manuscripts into prose, so I appreciate your suggestions for mentor texts. Jesse Bear and Jamberry...I can still say them by heart even though my children are teenagers. Thanks for the great examples! Have someone else read your story cold - yes, that's the way to get to the scary truth of what's working and what isn't. Printing this! Thank you for your insight! i love your questions and will print them out to use as I revise once more my manuscripts. 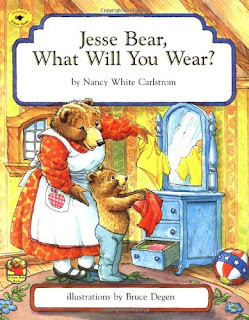 Loved reading aloud Jamberry and Jesse Bear when I was teaching. Such great examples! What a great list of books! Perfect examples! Don't know if I'm cut out for rhyming but I definitely want to try. Thank you for this wonderful post, Heidi! Such good insights! I'm not a rhymer or big fan of rhyming books, but you reminded me how GOOD it can be when it's done well. Thanks Heidi for your words of wisdom regarding writing rhyme; these mentor texts all look lovely. Looking forward to reading the ones I haven't already read. Perfect blog post for me to read with what I was working on today! Thanks Heidi! Thanks Heidi for providing some great rhyming mentor texts. Thanks for both the writing tips and the helpful mentor list! This post was for me. I love writing in rhyme. But, you are right. It is hard to get the meter just right. I think I'll check out these books and see just how they do it. Excellent post, Heidi! I love your advice not to use we, see, tree and with glee as last words in every sentence! Thanks for great mentor texts too! Thanks, Heidi, for the important information in this post. Meter is my biggest issue in rhyme. I prefer infusing lyrical language in my prose and writing free verse poetry instead! Thank you for such excellent advice, Heidi. I love to write in rhyme, but I've resisted doing so for quite awhile. I used to think that if the story came to me in rhyme, that I had to write it that way. Now I'm trying to write it in prose and see if afterwards it still demands to be in rhyme. Usually the answer is "No!" Great post Heidi, thank you! So nice to see Jessie Bear What Will You Wear? on the list. Read this to my preschool students MANY years ago and lovely to see it again. Brings back fond memories. Thank you for the insights and information. I have a story about a bush dance in outback Australia and have tried desperately NOT to rhyme it - but that animals keep bouncing around rhyming. I definitely recognize a few rhyming favorites on that list! Thanks for including books that could have chosen to rhyme - but didn't. Thanks for a great post. Like others I appreciated your list of books that could have rhymed but didn't. Your epilogue says so much -books that could have been rhymers but chose not to; that's a nice nudge to consider prose. Thank you Heidi. As someone whose stories argue about whether they want to be written in rhyme or prose, your blog was really helpful. Great mentor texts - Water is Water is amazing. What a great cautionary tale about the perils of poetry writing. Great idea to have someone read a manuscript to the writer - thanks. Thank you, Heidi. Great advise laid out so clearly. Love your opening two sentences. So true! What a great post! Thank you, Heidi!! What a great post! So true: when the meter is off it totally throws the reader off. Good idea to have someone else read it to you. Thank you for the helpful suggestions. 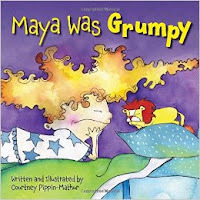 I also enjoyed Maya Was Grumpy as an example of a book written with prose that could easily have been written in rhyme. I love Courtney Pippin-Mathur's use of action words in the book. Thank you, Heidi! I will refer to your post whenever I'm trying to persuade a critique partner to rewrite a manuscript to prose. The advice will be much easier to take coming from you! Wonderful post. Thank you, Heidi! I love these mentor texts, and also think about The Little Blue Truck, which sounds perfect to my ear. I learned heard at an SCBWI conference this weekend that the story should stand alone--and you might write it also in prose. Once the story is solid, then attempt the rhyme. Your insights and mentors show how to do that next step. Thanks! Meter is hard. Thank you for the reminder that if a story doesn't need to be told in rhyme, it shouldn't be told in rhyme. Thanks for this great post on writing in rhyme and the terrific mentor texts. Thanks for great questions to keep in mind as I write! Thank you for your post! I truly enjoyed the playful interactions in these quality rhyming books. I appreciate the reminder that the story always comes first, not the rhyme, and that the story can't be there simply to serve the rhyme. Thanks for the advice! I love reading and writing rhyme! But yes, it's not the easy option and getting the meter right is so tricky. Thanks for the tips and recommendations! Thanks so much for the great post Heidi! I love the questions you pose. I'm going to bookmark this post for those times when I decide to experiment with rhyme. Thanks Heidi for very helpful advice! "Attempt to talk yourself out of it." Ha, I love it! So true. And if you can't talk yourself out of it, prepare to be perfect. I am not a fan of many Dr. Seuss books because of the made-up words. It isn't hard to rhyme/be creative when you make up words. The books listed above do such a nice job of rhyming. The Seven Silly Eaters is another good example of an effective long rhyming book. Heidi, thank you for including a list of "books that could have easily been written in rhyme but found their own amazing voice without it." Very helpful! Thank you for your reading list. Good rhyme sounds so pleasing that many newbies think it must be easy to create. Meter is hard! Thank you for wonderful advice, Heidi. Using these snow days to catch up on my ReFoReMo comments! :) I have not attempted to write in rhyme yet but this is an excellent list of mentor texts. The most recent book on this list I've read to my students is Water is Water. Absolutely gorgeous and lends itself perfectly to a read aloud. Thank you! Thank you for helpful advices. I have started asking some of the given questions from my rhyming text. Thank you, Heidi, this is an informative post. I've read seven of the books mentioned and love The Library - so do my local librarians. Thank you for the post and examples! It's so timely for me--to follow an idea, I'm learning more about poetry and meter. I just took a PB poetry workshop and some of this advice was a great addition to what I have been looking at in my own work. Thanks so much for this list of mentor texts... very diverse... but all beautiful books! Thanks! ReFoReMo Day 29: How Did You Win?